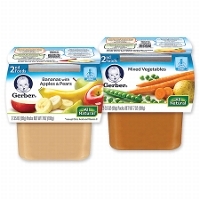 There's a new coupon for $1.20/8 Gerber 2rd Foods Baby Food available to print! Walgreens has these for $1.25 each when you buy in multiples of 4 so just $1.15 each after coupon! That's only $0.58 per tub! !